Heads up, Southies! Chanel the inner kid in you this summer as you jump, roll and slide in fun into the next big thing that is soon to open in The Seashore Club in San Juan, Batangas! 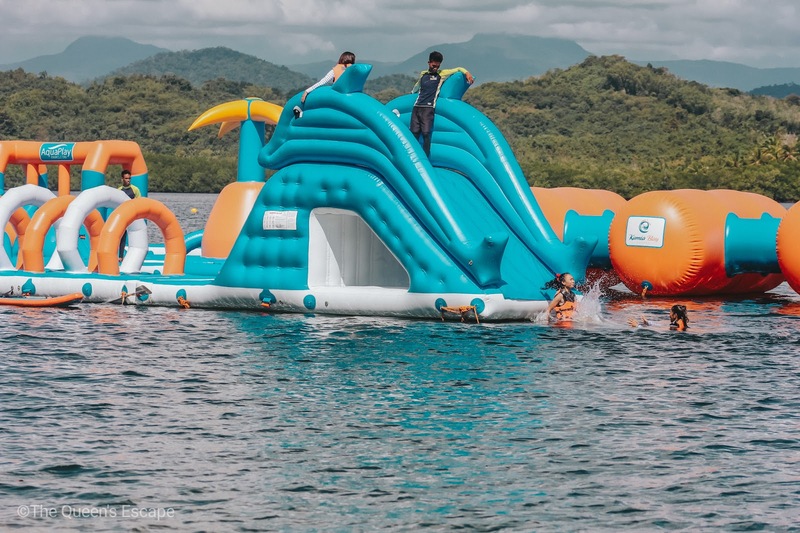 Aqua Play Parks take you into the whirlpools of adrenaline rush as it lets you get play on the giant inflatable afloat the Philippines' pristine waters. It is perfect enough to spoil the forever pumped up individuals, young and old alike, as they soak in a lot of sun! Good news for it isn't just the one in Luzon which we'll all be looking forward to this 2019 but also the ones that are soon to be installed in Visayas in Mindanao! 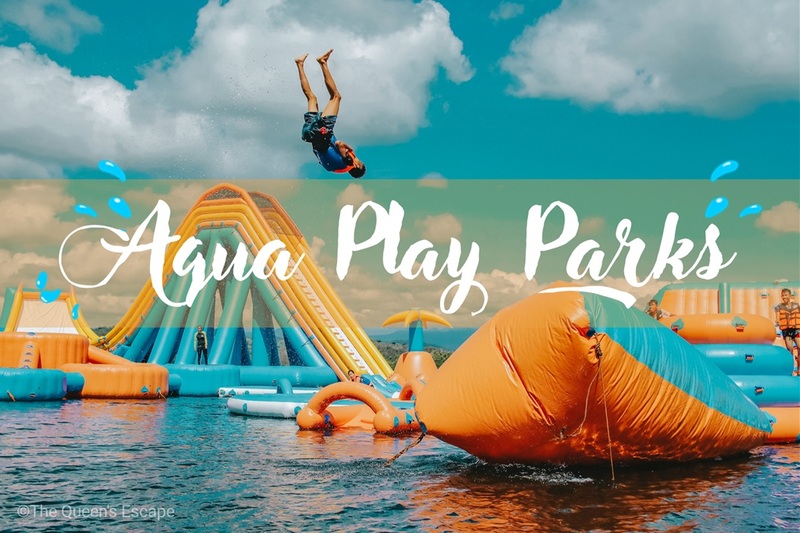 The Aqua Play Parks will give you quite a different way to enjoy the beach with its double monster slide, half pipe slide and 40-feet tall slide which are considered to be the first in Luzon. It will also soon feature a high-tower trampoline to double the fun! The Seashore Beach Club of San Juan, Batangas is bound to deliver a fancy yet extreme experience to everyone this summer! What is Aqua Play Parks? Aqua Play Parks are fruits of the squeezed creative juices of its Chief Executive Officer, Peter Appleton. These enticing giant inflatables are nothing but a reality straight out of an imagination - borne out of wondering how can beach be more fun than the usual water activities one can enjoy. Safety is not an issue after all since it's also among what Appleton has considered in the making of these inflatables that are larger than life. These have also been proven and tested to stand high, still and sturdy against giant ocean swells and typhoons most especially in the Philippines! Aqua Play Parks have been known for its towering giant slides which make them bag a title in 2016 from the Guinness Book of World Record - Highest Floating Water Slide in the World. Dare to experience the thrill? First flourished in the west side of the globe since 25 years ago, it has recently paved its way to the east; in Asia particularly. Its first installment afloat the pristine waters of the Pearl of the Orient had become a talk of the town and invited a lot who wished to experience it. 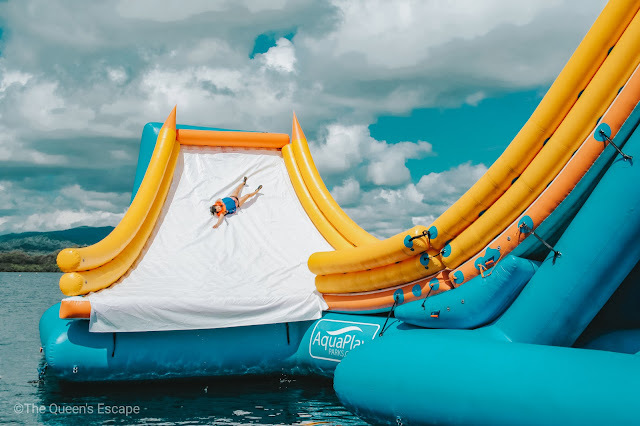 Aqua Play Parks remain competitive in the international market of inflatables as it continues to materialize their bigger and greater and fresh ideas. They fly across the globe to install more of these and bring fun to everyone! These Aqua Play Parks feature trampolines, monster slides, water roller, Saturn rocker, Jungle Joe, Iceberg, Human Launcher and Monkey Bars. A swimmer or not, everyone can enjoy these as everyone is required to wear life jacket for safety and there are staff around to watch over the guests on the inflatables. This leaves you nothing to worry about as you slide down a thirty to forty-feet tall monster slide that is afloat the oceans or as you jump up and down their high-tower trampoline that is three-layered! The soon to be opened one in Batangas is actually the fourth of the ginormous fun inflatables in the Philippines. The very first one that sparked everyone's interest with its 30-meter high monster slide is located in Club Balai Isabel in Talisay, Batangas. Another inflatable installation is in Sabando Ocampo Beach Resort in Oas, Albay. This has given life to a beach which was once not known to a many. The other one is installed at Kamia Bay Resort in Puerto Princesa, Palawan. This gives the tourists in this gem other things to explore and try other than its awe striking fine sand beaches, islands and underwater wonders. Aqua Play Parks to Greater Heights! Wanna try this? Save a day or two in summer, visit the nearest Aqua Play Parks with your friends and family and share your fun experience with us!